Intensive forklift courses are available all over the UK and they are a great way for you to learn new skills fast. If you are thinking of a change of career or to boost your current job prospects or are unemployed and want to gain a skill that employers will value then gaining a forklift truck licence is a excellent choice. Here at forklift-truck.info we hope to bring you the most up to date information if you are interested in getting a truck licence in the UK. From finding a training centre near you and explain the different types of forklift trucks you can train for. Every forklift truck driver in the UK needs to be certified so there will always be a demand for qualified forklift drivers. Think about it, almost all types physical goods you buy has needed to be transported from one place to another, loaded onto either ships, planes, lorry’s, unloaded at warehouses, depots, shops etc. I think you’re getting the picture! Forklift courses will take place at a certified training centre and can last between 1 – 5 days depending upon if you have had previous experience or not. If you have no experience in operating forklifts then you would most likely take the novice course which would usually last the full 5 days. 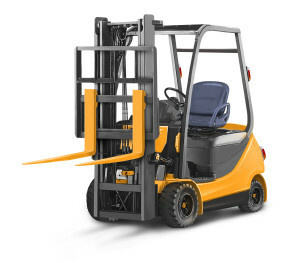 During which you will be instructed on all aspects of using a fork lift so you will quickly absorb the skills you are being shown during the duration of your course. On the other end of the scale if you just want to renew your certificate then you would most likely take the one day refresher course. The training aims to enable you to operate a forklift safely, including stacking and un-stacking loads at different heights, manoeuvring a loaded forklift in confined spaces, carrying out equipment checks, daily inspection, take-over & maintenance and weight assessments. There are many different types of forklift trucks: Reach, Double Reach, Counterbalance, Stackers, Pivot Steer, Telescopic and many more. Ask your course provider for advice on what type is right for you. Once you have achieved your fork lift truck certificate you will be able to work as a qualified forklift operator. If you are currently out of work you could be offered a back to work training scheme where your training costs are paid for you, ask at your local job centre if this is available where you live. I hope this article has helped to clarify the process of training as a forklift driver, take a look around the site for other helpful articles and check out the map to find a training centre near you.